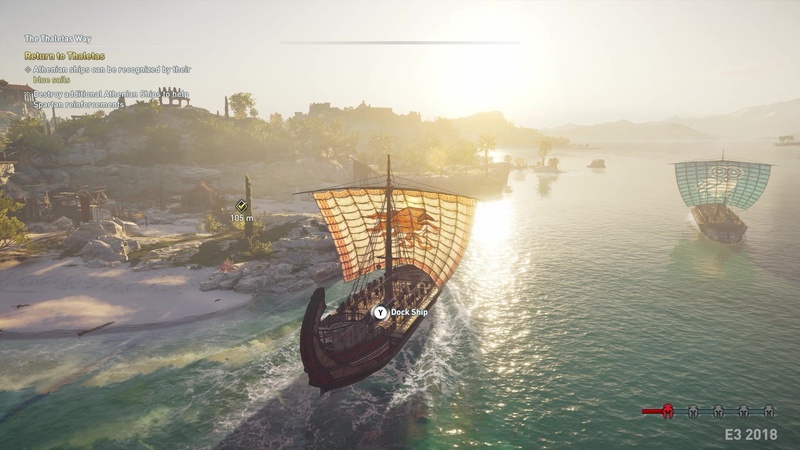 Assassin’s Creed Odyssey is the eleventh mainline entry in the Assassin’s Creed franchise, and it is continuing the trend of going even further back in the series’ timeline, as 2017’s Origins did as well. 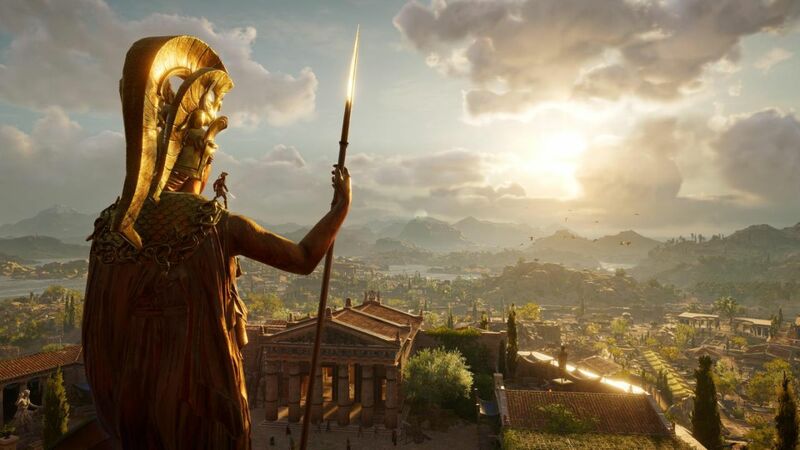 The game’s going to be set in ancient Greece, and looks to be building on its direct predecessor and taking the series fully into the realm of a full-fledged action-RPG. Primary development for the game is being handled by Ubisoft Quebec, the team behind 2015’s Assassin’s Creed Syndicate. After it took the year off in 2016, many believed that Assassin’s Creeds days as an annual franchise had come to an end, but it seems like that may not be the case after all. 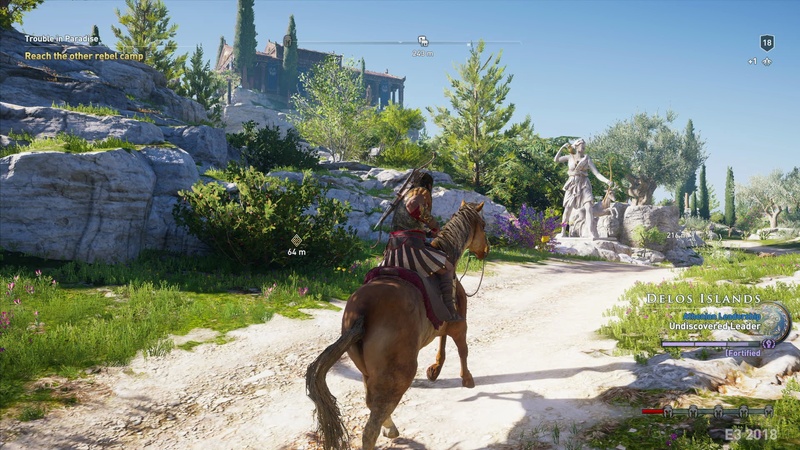 Assassin’s Creed games – and really, Ubisoft games in general – have had a long and troubled history of being leaked before their official announcements, and that trend continued with Assassin’s Creed Odyssey as well. It was leaked shortly before Ubisoft’s E3 2018 press event, and to curtail any damage the leak may have done, the publisher confirmed that the game would indeed be officially unveiled at E3- which it was. That said, many of the screenshots and details, gameplay footage, and story info from the demo Ubisoft showed off at E3 were also leaked just hours before their press conference. The game entered development at Ubisoft Quebec in 2015. After wrapping up development on Syndicate, the team started conceptualizing an Assassin’s Creed game that would be a full-fledged action RPG, inspired by the likes of The Witcher 3, Fallout, and Skyrim. During the development of Odyssey, the team at Quebec remained in close contact with Ubisoft Montreal, who were developing Origins- which is visible in the game’s overall visual style. It looks a lot like Origins does, not just in terms of the graphics themselves, but even smaller details, like the UI and its various components. Assassin’s Creed Odyssey is going to be the first game in the series’ chronology, with its Animus storyline taking place in ancient Greece in 431 BCE, during the Peloponnesian War between the Greek city-states of Athens and Sparta. While the modern day segments of the game will continue to follow Layla Hassan, who was introduced in Assassin’s Creed Origins, in the Animus storyline, players will take on the role of either Kassandra or Alexios. The protagonist belongs to a Spartan family that was, according to a prophecy, destined to bring doom to Sparta, which led to them being thrown off a cliff while they were still a child. They are now a mercenary without allegiances, but as the game progresses, players will uncover the truth about their past and about their family. What’s interesting about the protagonist, whichever one players choose to play as, is that they are the descendant of the legendary Spartan king Leonidas. They have inherited his broken spear, which will not only function as players’ primary weapon throughout the game. Interestingly enough, it’s also been confirmed by Ubisoft that Leonidas’ spear is one of the Pieces of Eden, the mystical artefacts that the narrative of the entire franchise revolves around. Being set almost four hundred years before Origins, it is also possible that Odyssey could explain the origins of the hidden blade, the iconic weapon of the Assassin Brotherhood. While players will be given the option to choose between Alexios and Kassandra as the main playable character, unlike in Syndicate, where both the Frye twins were playable together, that won’t be the case in Odyssey. What that means is that both Alexios and Kassandra won’t exist within the story at the same time- whichever character you choose to play as will be who the game focuses on entirely. Notably, Ubisoft have also stated that both of them are going to be more than just avatar characters, with each having his or her own unique, clearly defined personality and characteristics. 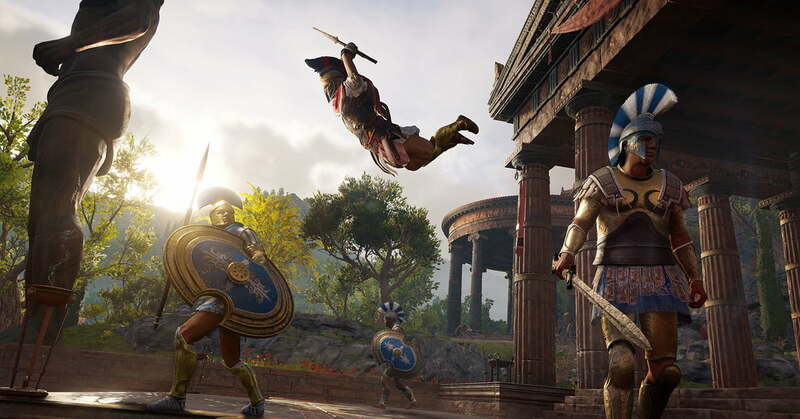 The biggest change Assassin’s Creed Odyssey is making in order to fully steer into the RPG lane is introducing player choice, and most of the most major changes its making all flow from that. For starters, there’s the game is going to have a branching narrative. At junctures in the game, players are going to be able to decide where the story should head, and their choices are going to have an impact on the game’s progression. Since Kassandra and Alexios are mercenaries, they’re going to have no real allegiance in the war between Sparta and Athens, in spite of originally being of Spartan descent. As such, players will be able to side with whichever of the two warring sides they should choose, or alternatively, they can just do what a mercenary does, and take their own sides, siding with both Athens and Sparta on and off depending on what they want to do in that particular moment. Through their actions, players will be able to decide the flow of the war, while Ubisoft have also confirmed that the game will have multiple endings. Weakening one of the city-state’s influences in areas of the map will lead to the opposite side gaining control of that area. 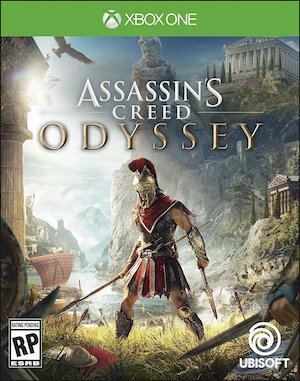 Of course, given the fact that Odyssey is still a game that is steeped in a historical setting and needs to maintain at least some level of accuracy with actual events in the past, many outcomes will be inevitable, but other, smaller details, as well as how the game gets to those points, will vary depending on the player’s choices. Of course, the game won’t be too bothered with being historically accurate- several mythical beasts, such as Medusa and minotaurs, can also be hunted and fought. Tying in with the setting of the war between Sparta and Athens, and how players can decide the course of the way, Alexios or Kassandra will also be able to participate in large scale battles, which will see one hundred and fifty warriors fighting for each side at a single time on the screen. Players will be tasked with taking out as many enemy captains as possible before their on forces are wiped out. These skirmishes will play into the ongoing larger war between Sparta and Athens, and their outcomes will have an impact on which side has the upper hand overall, and which side has more influence on particular areas in the map. Some of these battles will be tied to the main story, while some will be tied to optional content. In keeping with this major new addition, Assassin’s Creed Odyssey will also have dialogue options. You don’t really need us to tell you what dialogue options are, of course, but perhaps there is some confusion on how varied these will be. From the looks of it, they’re going to be pretty varied- players can, for example, choose to lie to other characters during conversations, choose to undertake quests, choose to reject quests, and so one. It looks like dialogue choices will actually present meaningful branches for players to choose from, rather than just being for show. The game’s setting, which inserts players into a world long before the assassins’ order even existed, is also going to have a lot of influence on how the game plays. For instance, as Assassin’s Creed fans would know, up until now in the series, all characters have been governed by some restrictions that have been placed on them, simply by virtue of the fact that they belong to the Brotherhood, with the most obvious example being that you could not kill civilians. 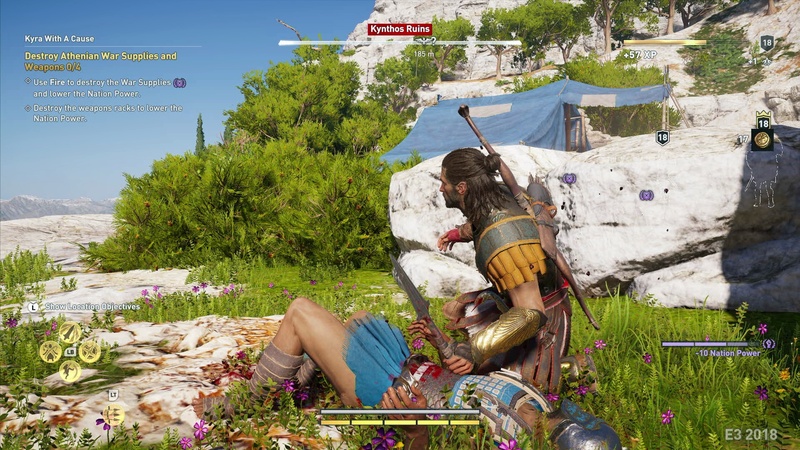 Since Kassandra or Alexios are going to be mercenaries in a world where the Brotherhood is centuries away from even being born, that is not going to be the case in Odyssey. So yes, you will be able to kill civilians. Notably, what this means is that the game is also going to have a wanted system, similar to what we see in GTA games, where other mercenaries or bounty hunters might be sent out to hunt the player down on the basis of their actions in the open world, such as killing or stealing. The eagle from Assassin’s Creed Origins is also going to make a return. Of course, it’s not going to be Senu, but players will be able to manually control an eagle while it flies over the world to scope out areas, tag enemies, and more. How the game will reconcile this with its setting and its narrative it something that remains to be seen, though- Senu was Bayek’s companion in Origins, and can be said to be the origins of the Brotherhood’s famed Eagle Vision. If Kassandra and Alexios aren’t assassins, and the Brotherhood is four centuries away from being founded, how does the eagle fit in? Ubisoft haven’t said much on that yet. Combat in Odyssey is also going to build on Origins, which heavily revamped the series’ combat mechanics. It will feature the same hit box based system, but Odyssey’s combat looks to be much more agile and kinetic. Mechanics for gear and loot, and how they are categorized by rarity, will be similar to what they were in Origins, as will being able to upgrade gear, weapons, abilities, and skills. There will be three skill trees that players will be able to put points into, with “hunter” focusing on archery and ranged abilities, “warrior” focusing on combat, and “assassin” focusing on stealth. Throughout the game, players will be able to upgrade their weapon, Leonidas’ broken spear, as well. Additionally, players can can map the different abilities that they learn throughout the game to eight slots- one on each face button, four for each trigger. As players fill up their adrenaline bar, rather than unleashing an execution move like they used to in Origins, they will now be able to use one of these abilities. One of these can, for instance, heal your character (this will replace the healing potions seen in Origins), another lets you do a shield break on more defence-oriented enemies, yet another lets you do a powerful, signature Spartan kick, while yet another lets you call down a rain of arrows on your enemies. Players can also unlock better and high-tier versions of previously unlocked skills and abilities. Ubisoft have also confirmed that Assassin’s Creed Odyssey is the biggest map to date in the entire Assassin’s Creed series, bigger even than Origins’ ancient Egypt, which was extremely big to begin with. The environments in the game are going to be quite varied, including the likes of cities (of course), forests, mountains, and beaches. Of course, there is a catch- much of the map’s area will be covered in water- more specifically, the Aegean Sea. Which, of course brings us to naval battles. Origins featured a few segments were naval exploration and combat were included, but these were limited in number, and tied to the story. Odyssey, however, is going to go all in on that, and bring back the full-fledged sandbox naval exploration and combat like we saw in Assassin’s Creed IV: Black Flag. Of course, given the time period of the game’s setting, a lot of weaponry associated with naval warfare, such as canons, simply won’t exist, so players will instead be firing volleys of arrows from their ships while locked in combat. Their ship will serve as a sort of mobile hub. Additionally, your ship and your crew will also be upgradeable and customizable. Players will also be able to recruit people for their ship’s crew. Recruiting crew members will often be tied with quests, many of which will be optional, so which members you recruit and do not recruit, and how your crew is shaped, will also, to an extent, be tied to your choices and decisions. While sailing on the seas, players will also be attacked by aquatic wildlife, such as sharks, which they will then have to fend off. These can and will, however, also attack enemy and NPC ships and boats.